You’re reading novel Chaotic Sword God Chapter 994: Rum Guinness online at LightNovelFree.com. Please use the follow button to get notification about the latest chapter next time when you visit LightNovelFree.com. Use F11 button to read novel in full-screen(PC only). Drop by anytime you want to read free – fast – latest novel. It’s great if you could leave a comment, share your opinion about the new chapters, new novel with others on the internet. We’ll do our best to bring you the finest, latest novel everyday. Enjoy! You Yue immediately became emotional when she saw Jian Chen accept her small request. She was extremely happy. In the morning of the next day, Jian Chen took You Yue with him as he left the Changyang clan with Rui Jin and Hei Yu. The wild wind whistled in the sky as it blew past them like a gale at sea. It was terrifyingly loud, almost like thunder. Jian Chen held You Yue’s thin waist as he flew through the sky, flying in a straight line toward an unknown location. A barrier formed from World Force staved off the wind around them. You Yue became slightly flushed from Jian Chen’s embrace. However, happiness filled her as well. She smiled slightly as she looked at the receding landscape below and Jian Chen’s face. “Jian Chen, where are we going next? Will it be dangerous?” You Yue’s voice was filled with excitement as she looked at Jian Chen brightly. This was the first time she had wandered the Tian Yuan Continent in her entire life, and it was with her most beloved and most admirable partner. It was impossible for her to be unexcited. Jian Chen flipped his hand, and a white tiger hair suddenly appeared in his palm. This hair was originally left behind by Xiao Bai’s mother—Rum Guinness. She left it behind so that they could find her in the future. The white tiger’s interest was immediately piqued. Suddenly, it stood up. It stared unblinkingly at the white hair in Jian Chen’s hands with its eyes wide open. Rare, mixed emotions began to pour from its pure eyes. The white tiger could not even open its eyes when it had left its mother—it probably did not even know what she looked like. However, it was impossible for it to mistake his mother’s scent, because this was a natural instinct of magical beasts that humans did not possess. “Grrrr…” The white tiger produced a throaty growl as if it was crying in anguish. It also seemed to be talking to Jian Chen, even though he could not understand it at all. The white tiger appeared to miss its mother after catching a whiff of her scent. The white tiger was currently a Cla.s.s 7 Magical Beast, but the time since its birth was just too short. His current mind was even more undeveloped than Xiao Ling from Mercenary City. The white tiger gently raised its furry front paw and opened its mouth slightly. A wind blade shot out and cut its paw. Immediately, a droplet of bright red blood dripped out and fell accurately onto the hair in Jian Chen’s hand. Only the blood from the white tiger could activate the hair that Rum Guinness left behind. The hair immediately turned completely red after it absorbed the blood. It began to glow with a demonic red light, before it broke free from Jian Chen’s grasp. It shot off into the distance with lightning speed. Jian Chen tightened his arm around You Yue and fused with the surrounding s.p.a.ce. He used Spatial Force to travel, turning into a blur as he chased after the tiger hair. In the northern parts of the continent, there was a marsh perpetually covered by a layer of poisonous gas. Countless poisonous bug and feral beasts lived in the marsh, and there were plenty of Cla.s.s 6 Magical Beasts. The marsh was in an extremely desolate region, as the poisonous gas there was just too potent. Even Earth Saint Masters were not resistant to it, and most detoxifying pills were ineffective. As a result, it became labeled as a forbidden region to most mercenaries. Only Heaven Saint Masters could survive within it. In the center of the marsh, powerful booms constantly rang out despite the thick, green poisonous gas that clouded the area. It caused the gas to churn constantly as violent ripples of energy radiated outward. More than ten experts floated in the air at the center. They rained down powerful attacks one after another, striking the marshland below. Their wild attacks formed a huge ditch. It revealed a dull barrier that enveloped an underground cavern. It seemed to shake more and more under the rain of attacks. There were signs of it almost breaking. “Put in some effort, everyone. There’s not enough energy in the barrier. It’ll break very soon.” A gray-haired old man in luxurious golden robes floated high up in the sky as he stared coldly toward the shaking barrier. He directed the Heaven Saint Masters to attack the barrier in turns, which constantly ate away at the barrier’s energy. The old man was a former patriarch of a large clan nearby. He was also the most powerful person in the group and had reached Saint Ruler already. However, he only belonged to the First Heavenly Layer. “Old man Hou, are you sure there’s a heavily-injured Cla.s.s 7 Magical Beast hiding behind the barrier? A Cla.s.s 7 Magical Beast is on the same level of cultivation as you, and magical beasts are just innately more powerful than us. If we break the barrier, we’ll definitely aggravate the magical beast inside. If it isn’t as weak as you antic.i.p.ated, it would be a disaster,” a Heaven Saint Master asked out of worry as he attacked the barrier. The old man referred to as old man Hou coldly glanced at the Heaven Saint Master. His gaze was like a sharp knife and pierced the Heaven Saint Master’s heart. It immediately made him tremble, and fear rose from the bottom of his heart. All those below Saint Ruler were ants. Even though old man Hou was only at the First Heavenly Layer, the Heaven Saint Masters were as weak as ants before him. “Don’t worry. Ever since I discovered something odd here, I’ve always kept an eye out. I’m certain that it’s an injured Cla.s.s 7 Magical Beast hiding in the barrier. It must be healing here, so it can’t threaten us at all,” old man Hou said nonchalantly. He was filled with confidence. He could tell that the magical beast that hid behind the barrier was much stronger than himself. If it were not injured, he definitely would not have come to provoke it. He did not take part in breaking the barrier, as he needed to remain in top condition in order to deal with the magical beast’s counterattacks. 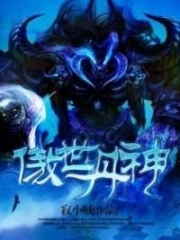 “Cla.s.s 7 Monster Cores are like great treasures on the Tian Yuan Continent. They’re invaluable. If I can obtain a Cla.s.s 7 Monster Core and absorb all the energy inside it, my strength will be elevated to another level,” old man Hou thought. A snow-white, three-meter long tiger lied weakly on the ground inside the dark cave protected by the barrier. It stared powerlessly at the constantly-shaking barrier as despair filled her eyes. She was Xiao Bai’s mother, Rum Guinness. When the tiger king from the Gilligan clan initially injured her, she was already at the edge of death and extremely weak. The tiger king had also deposited his power into her body, and only a Cla.s.s 7 Radiant Saint Master could cleanse it. It had been sealed up by Jian Chen’s power as a Cla.s.s 6 Radiant Saint Master before. However, this had limited her strength and her recovery speed at the same time. She needed to devote all her strength to suppressing the dark energy, or it would break through the Radiant Saint Force seal. She would be dead for sure at that point. It had consumed a lot of her strength to maintain the seal over the years. She had less than a hundredth of her peak power. As such, once the barrier broke, even Heaven Saint Masters could kill her off, let alone Saint Rulers. As soon as she tried fighting back, the tiger king’s energy would destroy the Radiant Saint Force seal that Jian Chen left behind. You're reading novel Chaotic Sword God Chapter 994: Rum Guinness online at LightNovelFree.com. You can use the follow function to bookmark your favorite novel ( Only for registered users ). If you find any errors ( broken links, can't load photos, etc.. ), Please let us know so we can fix it as soon as possible. And when you start a conversation or debate about a certain topic with other people, please do not offend them just because you don't like their opinions. You're reading Chaotic Sword God Chapter 994: Rum Guinness. This novel has been translated by Updating. Author: Xin Xing Xiao Yao already has 7886 views. Current Time is Apr-18-2019 19:26:43 PM.